Your source for All books, DVDs , toys, magazines , CDs, comics and board games and other items from South-Korea! 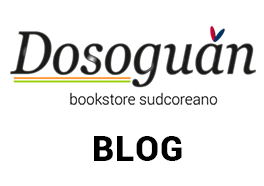 This site is owned and operated by Carmen Galifi , ("We" , “us” “our” represents Dosoguan.com, also named “Dosoguan”, Dosoguan bookstore sudcoreano” (in Italian language) “Dosoguan southkorean bookstore” and the owner and legal representative of it: Carmen Galifi). This bookstore online offers, including all information, tools and services available from this site to you, the user, conditioned upon your acceptance of all terms, conditions, policies and notices stated here. All Products you see in the Site are in Italy; so the shipment is from Italy. By visiting our site and/ or purchasing something from dosoguan.com, you accept our “Terms an general conditions of sale" and agree to be bound by the following terms and conditions (“ Sales Terms, “Terms” “Terms of Service”)- including those additional terms and conditions and policies referenced here in and/or available by hyperlink. These Terms of Service apply to all users of the site and customers. The Customer is a consumer (an individual who buys goods for purposes not related to their business or profession). By Registering to the e-commerce-site, Users/Customers give clear and explicit consent for their data to be stored and used. Personal data is processed by Dosoguan.com in respect of GDPR 2016 /679 terms that is therefore responsible for the collection and safe storage of their customers' data. Under GDPR-UE Regulation 2016 /679, “processing of the personal data of a child” is only allowed by law when the child is at least 16 years old, under this age, is necessary the consent in written form from the child's parent or legal guardian to collect and process their data. Please read these Terms of Service carefully before accessing or using this website. -By placing an order you are offering to purchase a product (s) on and subject to the following terms and conditions. -By accessing or using any part of the site, you agree to be bound by these Terms of Service. -If you do not agree to all the terms and conditions of this agreement, then you may not access the website. These sale terms may be updated. Dosoguan strictly prohibits customers below 16 years to use this site without permission or assistance of a legal guardian in respect of GDPR 2016 /679: Under GDPR-UE Regulation 2016 /679, “processing of the personal data of a child” is only allowed by law when the child is at least 16 years old, under this age, is necessary the consent in written form from the child's parent or legal guardian to collect and process their data. Dosoguan will not be liable if any billing information or other details are passed on as a testing experiment. “User” means and includes any Customer / Buyer / You (the person that in Dosoguan.com put an order as purchase on this site. Dosoguan reserves the right to refuse an order to anyone for any reason at any time. *For International buyers that don't live in Italy please READ* : BEFORE YOU MAKE AN ORDER or TO PAY you have to send a mail to info@dosoguan.com or dosoguanbookstore@gmail.com Dosoguan estimates the time and cost of delivery based on your Country and the weight of the package; the shipping cost will be calculated to you according to your Country and the weight of the package.Please write in e-mail the zip code of your location so Dosoguan looks for a cheap shipping rate sending you an estimation of the shipping cost and if you accept the total (including the shipping cost),only after the process of the order on the site can start.Only after having accepted the shipping cost via mail you can complete your Order on the site.To check the status of your shipping you 'll be provided with the tracking number. After choosing what do you prefer and you would like to purchase on the products ‘ page, please click on the “Add to cart” button. After making sure everything you would like to purchase is in your cart, please click the “Checkout” button. Please fill out the customer information form, then click on the “Continue to shipping method” button. “Standard Shipping” has not been selected for you, so please send an e-mail following above instructions. When you have accepted via e-mail the shipping cost you can go again on the site to complete your Order. Click “Continue to payment method” and please choose either PayPal or Credit Card or bank transfer. If you have a gift card or discount code, enter it now! Once you’ve chosen your payment method and entered your discount code, please click the “Complete order” button. ***You can request specific books anytime you desire by sending a mail (info@dosoguan.com or dosoguanbookstore@gmail.com). Please write the title or attach the image of the cover book.There's no limit to the number of copies of a specific title requested. 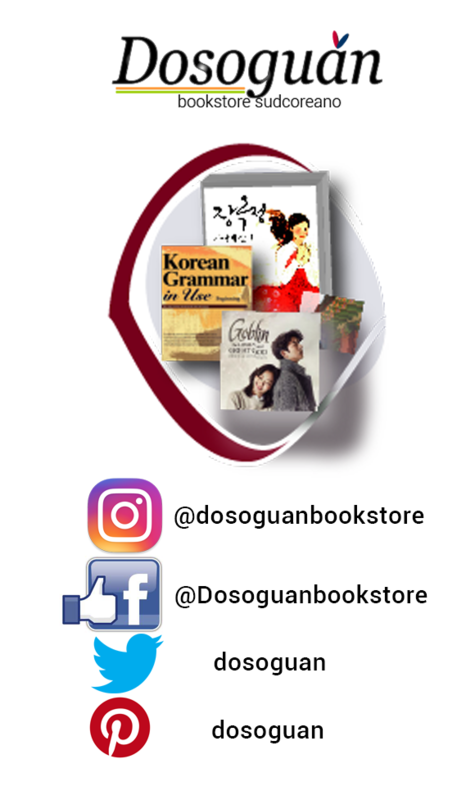 You can contact Dosoguan to purchase titles of BOOKS-CD-DVDs or Magazines published in South korea that you'd like to find in Dosoguan available in order to be purchased on the site, just like items that currently you can see in the bookstore online. made in accordance with Article 1, subparagraphs 54 to 89 of Italian Law n. 190/2014 – Flat-rate scheme. All prices and offers remain valid as advertised from time to time. The price of a product displayed on the Site at the time the order is accepted, will be honored, except in cases of patent error. This email is not an acceptance of your order, just a confirmation that the bookstore have received it. The contract between you and Dosoguan, is concluded when Dosoguan accepts your order. Unless you cancel your order, acceptance of your order will be perfected upon completion of the packing of your order. that shipping restrictions apply to a particular geographical zone , that the product(s) ordered is out of stock or that you do not meet the eligibility criteria set-out within the “Terms an general conditions of sale”, and so on. Business Hours: from 9:00 a.m to 7 p.m -Monday to Friday, and on Saturdays from 9:00 a.m. until 12:00 a.m.
Is there a minimum order/price or a shipping fee free opportunity? Yes, if you want to purchase at Dosoguan.com the minimum order price is 9,90 euro . SHIPPING FEES are free only if you live in ITALY when you purchase for an economic value account as 85,00 euro and over . Dosoguan.com do not accept checks, cash orders, or any other type of payment. card company name and the three-digit security code on the back of your credit card, which ensures online payment safety. After completing the ordering process, your credit card will be debited. For each transaction a check will be made to see if the cardholder and the person placing the order are who they claim to be, this is done automatically via the credit card issuer website, which may prompt the buyer to answer some previously set up security questions. In a credit card transaction, you must use your own credit card. We will not be liable for any credit card fraud. The liability to use a card fraudulently will be on the user and the onus to “prove otherwise” shall be exclusively on the user. If you have chosen "payment by bank transfer" as your payment method, you will automatically receive a confirmation through e-mail by Dosoguan.com with all the necessary information you need, such as bank details and bank code. Please don´t forget to write down the IBAN and SWIFT code, which are indicated in the e-mail. Your order will be shipped as soon as we have received your payment. Please remember that depending on the bank, the bank transfer will take 2-5 working days and this may delay the dispatch of the order.Once we received your payment we will proceed to send your order through the courier. - Paypal, credit card (VISA, MASTER and others through PayPal. PayPal is one of the most safe company for cash transactions over the internet. With PayPal you may open an online account into which you can transfer money. From this account you can quickly and securely process your payment so you can register at their website. Our page will redirect you to a PayPal checkout page where you will prompted to sign into your PayPal account or sign up for one. Once you signed in to your PayPal account, you will see details for the dosoguan.com order. Please follow instructions from PayPal and it will guide you through their secured checkout process. to view your order receipt. Please make sure that the payment reference is your order number (to be found in your order confirmation e-mail), and that the payment is sent to our mail address. You do not need a PayPal account to pay your order, you can use your credit card via Paypal as way of payment. The data in its original format. Dosoguan does not store any of your credit card information in our database. All credit card information is securely transferred to our payment processor (PayPal) at the time you place your order. How do you deliver and how much does it cost? Dosoguan.com ships from ITALY directly to your location anywhere in the world! dispatched within 2-3 working days after you paid for your purchase at Dosoguan bookstore. SHIPPING FEES are totally free when you purchase for an economic value account as 85,00 euro and over but ONLY if you live in ITALY. Delivery tracking service is available quickly and safely through TNT or other Express Courier Companies and you can receive your orders no matter where you live. The shipping fees are applied based on the weight of your order(s) and on your Country. The total fee not will be automatically at the very end of your shopping process, so before you pay send a mail to Dosoguan and read above in red marked phrases in HOW DO I PLACE AN ORDER? All orders are shipped directly from Dosoguan, from Italy. Tracking codes are provided. International buyers please note: Import duties, taxes, and charges are not included in the item price or postage cost. These charges are the buyer's responsibility. Please check with your country's customs office to determine what these additional costs will be prior to buying. tax or unsuccessful delivery (e.g. insufficient address information, no such receiver, etc). Any damage to the packaging and/or products or incorrect number of packages or details must be immediately contested, by writing RECEIVED UNCHECKED/WITH RESERVE (INDICATING THE REASON OF THE RESERVE, e.g. "broken packaging”, “crushed packaging”, etc.) on the carrier’s proof of delivery note. Once the carrier’s document has been signed, Customers can no longer contest the exterior characteristics of the delivered materials in any way. Any problems concerning the physical integrity, correspondence or completeness of the products received must be reported within 7 days from the date goods are delivered, as specified here. -The goal of Dosoguan is 100% your satisfaction, and your satisfaction is very important. We do everything we can to replace the defective item for you, and there are absolutely no costs involved. In this case send via e-mail a replacement request to info@dosoguan.com or dosoguanbookstore@gmail.com immediately. What if my order gets lost or damaged during delivery? If there are any issues with a delivery, please contact us immediately writing an e-mail with all details. Please take a photo if the content of the package was damaged . We will solve the problem ASAP. status and much more. Dosoguan will answer you as soon as possible. While most of the changes will only affect residents of the European Economic Area (“EEA”), Dosoguan encourages all learners to review the new policies and become familiar with them. Please, remind this website does NOT make use of profiling, targeting or promotional cookies or Google Analytics or other Cookies Social network. Essential and Techinal Cookies:These cookies are necessary to enable the account User to use with Dosoguan website. These are only for the internal use of this Site, such as those which give the user access as a registered user both when logging in for the first time and on subsequent occasions and those that concern Shopping Chart, The Option on the Choice of the Language and Preferences. If you disable these Cookies it cannot be guaranteed that you will be able to use all the features and services of e-commerce. Dosoguan don’t use Social Network Cookies to share content on social networks; you’ll find just in footnotes the list of official links of Dosoguan on social media channels. Dosoguan only uses Google search Console for monitoring the proper functioning of the Site, metrics ans stats about which pages are frequently visited, time of surfing on the site; if any errors are present on your site — not regularly and not systematically. Armed with this information, Dosoguan can fix technical problems of the Site.No personal data of User are involved and is not possible to indentify person. -How can I disable cookies and manage my preferences? Users must give clear and explicit consent for their data to be stored and used.By Registering to the e-commerce-site, Users/Customers give clear and explicit consent for their data to be stored and used. protection of personal data, and archive original documents to guarantee compliance with obligations laid down in Italian Law n. 190/2014 – Flat-rate scheme. Personal data is used for purpose to provide Customers with the procedures for the execution of this contract and eventual or necessary communications that concern customers ‘ activities in the shop online. In any case, the customer's data will not be send (except for courier because of the delivery terms or bank in payment procedure) or sold to third parties. Personal data is not collected for commercial purpose except for Newsletter (but only after Customer willfully having subscribed to it on the Site). In this case, a list included in MailChimp ‘ll be used to send coupons, promotional offers about products, for commercial advises, statistics or other advertising material through the use of electronic mail. You may unsubscribe at any moment. Write an e-mail to news@dosoguan.com and ask in the object of e-mail "I want to unsubscribe". In any moment Users can remove consent to Newsletter. The owner of the data is Carmen Galifi, at the headquarters of "Dosoguan – bookstore sudcoreano” in Via Trento is 82 n.6 pal.C – 98123 MESSINA, ITALY. -Right of access of the User registered in Dosoguan.com in a free way and directly online entering in his/her Customer Area after LOG IN to copy, change, save or edit the actual data. - Right to erasure -Customers can be able to delete their account and information entirely from the Site. -Data Portability -Customers are able to access their personal data quickly and simply and get Information. You may opt out of any future contacts from this Site at any time. You can request a copy of your purchase history, course history, and the personal information about you.You can do the following at any time also by contacting Dosoguan via info@dosoguan.com or dosoguanbookstore@gmail.com or Express any concern you have about the use of your data.